Former Ohio poll worker Melowese Richardson, who was convicted and sentenced to five years in prison for voter fraud, was released early because she has bi-polar disorder. Richardson, who was trusted with the position of “being a guardian to free elections,” admitted to illegally voting in 2009, 2011 and 2012. 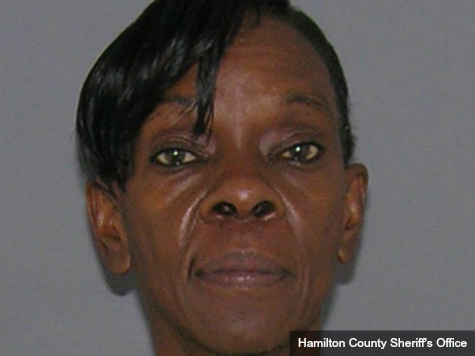 At her trial, Richardson claims she had no intent to commit voter fraud even though she had cast multiple votes for President Obama at her Hamilton County polling place. Her infractions included voting in person at the poll while also sending in an absentee ballot. Moreover, Melowese had voted on behalf of her sister who is in a coma, her brother, and her grandchild. This was far from Ms. Richardson’s first experience with the judicial branch of the government. In July during her voter fraud sentencing, Judge Robert Ruehlman cited her criminal record for intimidation, assault, drunken driving, and theft. “You’ve stolen, just like you steal from stores, just like you disrupt the justice system, just like you beat people up,” the judge said. Melowese was released Tuesday after her attorney David Singleton shared with Hamilton County Prosecutor Joe Deters that she has bipolar disorder. Judge Ruehlman agreed to place Richardson on five years of probation. “Justice was done in this case today,” Singleton said.